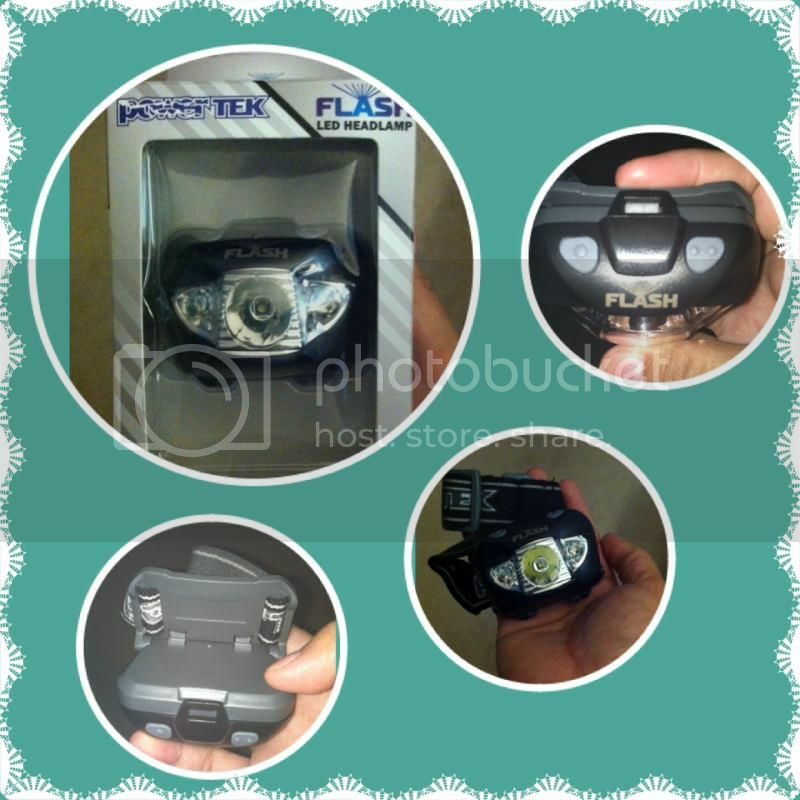 What better to acquire for your partner is a fine Power Tek Flash Premium LED Headlamp, especially when you know you have a handyman type of guy. When they work outside, sometimes they cannot be stopped from building things until it gets dark. They want to make sure it's thorough and well done so they have to be more precise about everything. A nice headlamp would help them with their edifice. It is in my opinion, as my other half loves to finish the playhouse he builds for our sons. With all the additional extension for the playhouse, I don't know the definite month to finish the whole thing. He wants it to be nice and big that way, we don't need to go to a park just to let our kids play, where we can enjoy the comfort of our yard, very safe and hassle-free. Anyways, I received the PowerTek Flash Premium LED Headlamp in the mail along with other items I order online, for only $24.95. The packaging is very secure, I don't see any problems with the product itself. I opened the item and examine to see any defect before I use the headlamp. The first thing I've noticed when I unpacked the product was that it's very light weight. The strap is adjustable of course, I like how you can also adjust to angel the headlamp for an easy battery replacement, however never tried it right away was it never came with a 3 AAA batteries, which I thought it will. One of the feature I also adore is the switch of a white and red LED light, easy CREE LED into High, Medium, Low flashes and OFF. The red LEDs is for a night vision, which is pretty awesome. Overall, I do like the product this could be a great holiday gift idea for those who seeks high-quality gift to bestow to their partners. Small that they can even place in their pockets so they could bring it with them. Sounds like a great product. My husband could use this. Wow, that looks really nice. I agree with you, this is a great gift idea. I think hubby use something on his head when he works late at night Mommy N to see the poles that he is working. This is an amazing gear for any workaholic. An ideal gift indeed for the man of the house. I'm sure my husband will enjoy having one.